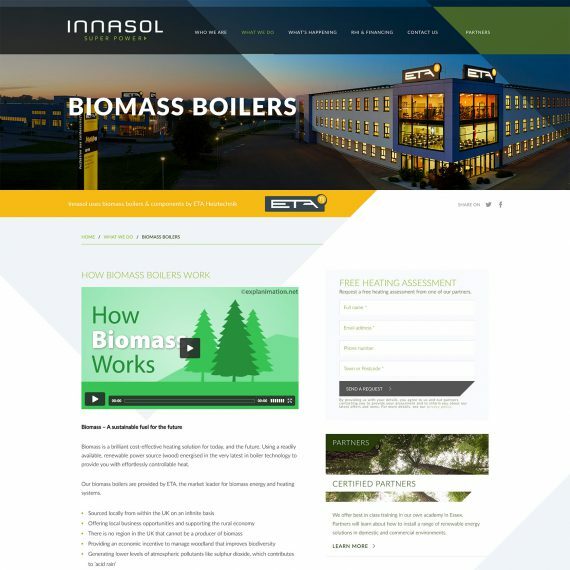 Innasol offer renewable, green energy through the use of biomass boilers to consumers and businesses. 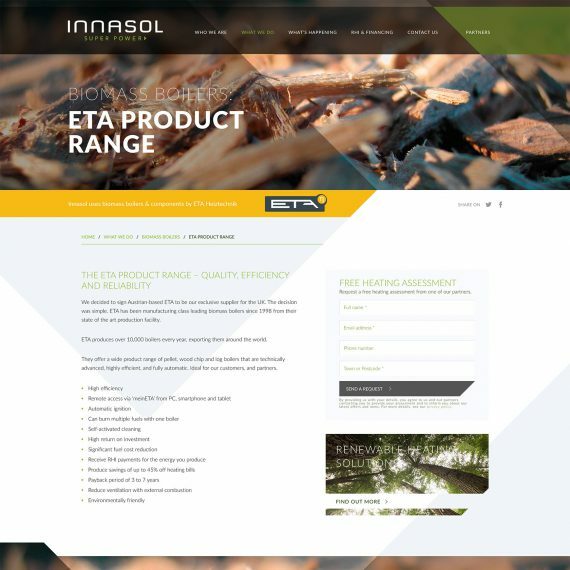 They wanted to launch a fresh, state-of-the-art site to aid them in their launch into the UK market. The design took on a complex triangle shape, which created X’s as you moved down the pages. The site was developed using HTML 5 and CSS 3. This was then put into WordPress to allow the client to update the website themselves. This created challenges though. Due to the content growing, the X shapes had to grow with it. Images are being cut and masked on the fly so maintain the unique shapes. 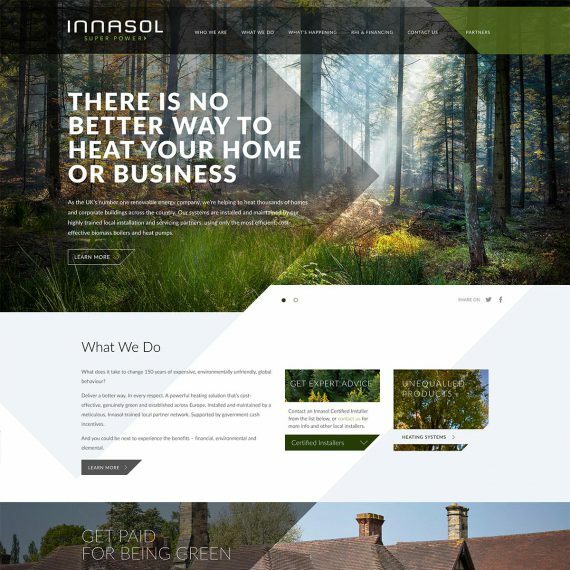 Innasol sell their product by using partners, the largest of which are able to create their own personalized page within the site to advertise themselves and collect customer information. 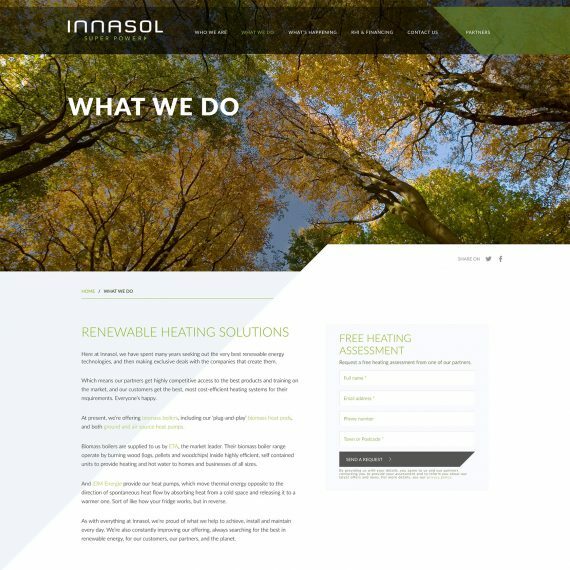 Innasol was hugely based around being as Search Engine Optimised as possible. All in all, it ended up being a great looking, working and productive website for all.